AQHI Inc. is an Asbestos Certified Contractor in Pasadena CA Carrying Multiple Official Qualifications for your Protection. The above steps should be more than sufficient to protect against accidental fiber release during a remediation. 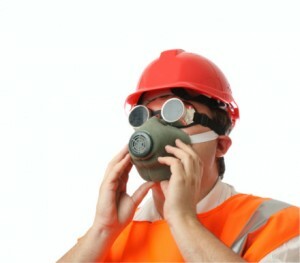 However, as a responsible asbestos certified contractor in Pasadena CA, we are prepared for any eventuality. We carry comprehensive liability insurance with specific asbestos pollution clauses as well as workers comp insurance to protect our clients from footing the bill for any possible accidents, however unlikely. Getting asbestos waste out of your home or business is one thing; getting it off your property is another. These two activities require separate certifications. The fact that AQHI Inc. is licensed and certified for both activities enables us to provide comprehensive bids that include all the services you need. With us as your asbestos certified contractor in Pasadena CA, you don’t have to worry about a “surprise” expense tacked on at the end of your project. Our asbestos removal office for Asbestos Certified Contractor in Pasadena CA is open Monday through Friday between 8:00 AM and 5:00 PM and closed for lunch from noon to 1:00 PM. With advance notice, projects can be scheduled for weekends, early mornings and evenings.